As I’ve been traveling lately, I’ve spent a lot of time thinking about the foods that unify us. That has always been the power of food to me. One of those key ingredients that I see used no matter where I am in the world is beans. The history of beans can be traced back over 20,000 years. It’s a staple item in just about every culture and as I look back at my travels over the past few months, I realize that it popped up everywhere. In Jamaica, my first meal upon arrival was a cup of red pea (kidney beans) soup on the side of a mountain. In Turkey, I had a mezze platter with hummus and pita bread and a lot of other goodies. In Portugal, I had arroz de feijão (lightly stewed white rice with pink beans). Beans have always been (no pun intended) a part of my diet, but I think the first time that I realized that I was a bean enthusiast was when I discovered Cuban style black beans. In Atlanta, one of my favorite places for Cuban food is Papi’s and the airport outpost doesn’t disappoint. 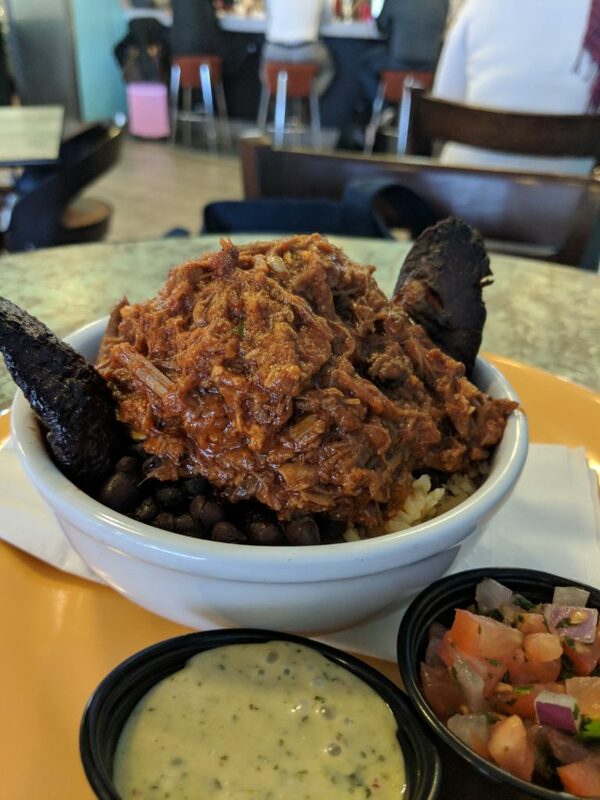 There isn’t a better way to taste black beans than in their “Papi’s Bowl”. It has rice, black beans, plantains, pico de gallo, salsa verde and you can add ropa vieja or slow roasted pork if you’d like more protein. 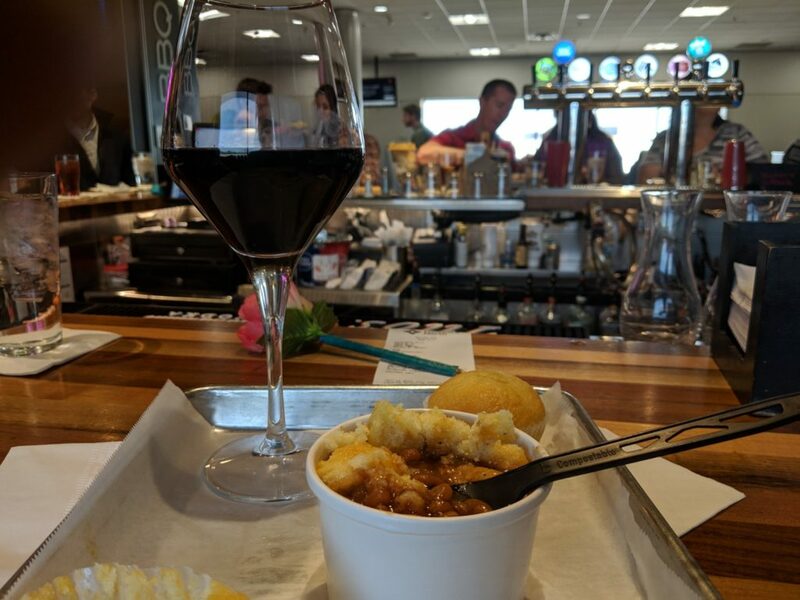 Bonus: In addition to the spacious dining area, they have a take out area that makes it easy to grab and catch your flight. While beans can be relatively easy to find, sometimes it’s hard to find it in a light meal. I love rice and beans, but when searching for something healthier, I turn to hummus. Hummus -popular in the Mediterranean and Middle East-is a dip primarily made with mashed chickpeas, tahini, olive oil, lemon juice and salt. 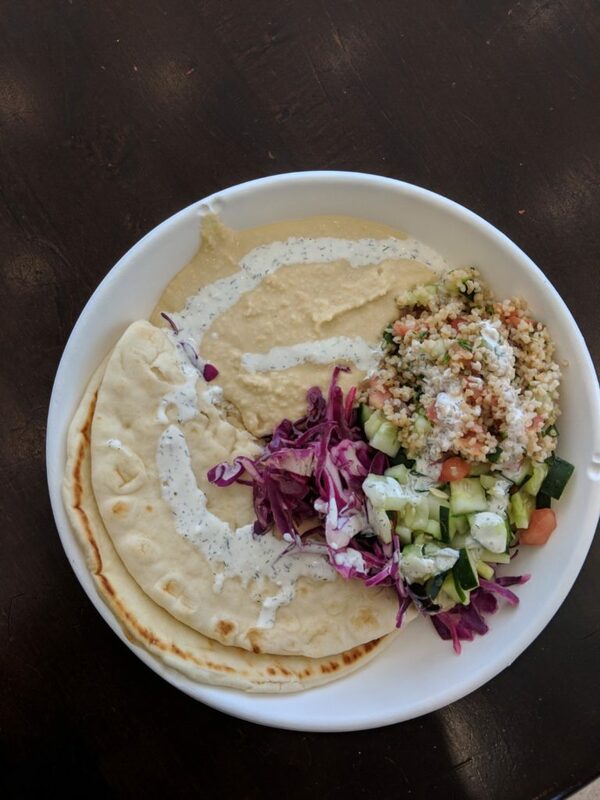 At Garbanzo’s, it’s just one of the fresh choices you have when building a wrap, salad or plate. If you want to take a break from the norm, ask about their seasonal hummus. This is a great way to see the many things you can do with hummus. “Beans and cornbread had a fight…beans knocked cornbread out of sight…Cornbread said, ‘Now that’s alright.’ “ I have no idea what that Louis Jordan song is about, but as I sat down at The Mustard Seed and looked at the menu, I couldn’t get it out of my head. 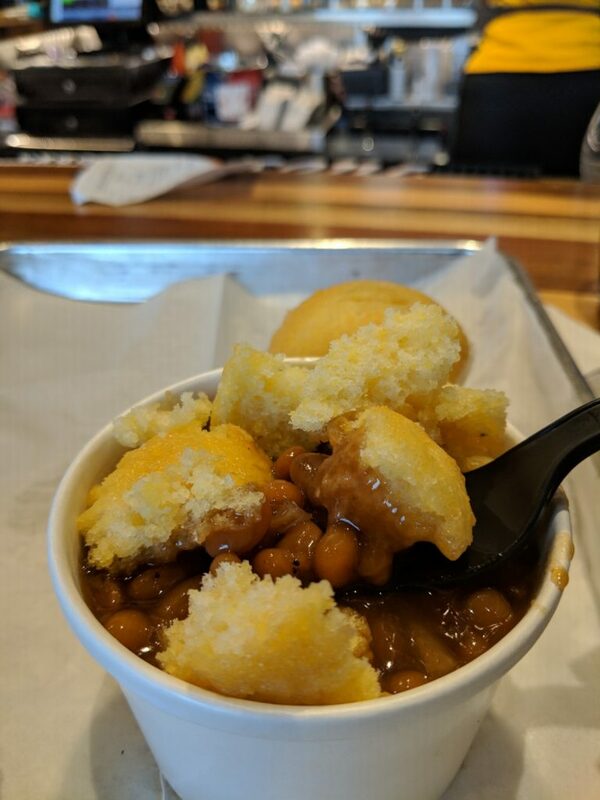 So, I found myself ordering a side of baked beans and some cornbread to crumble on top of it…this is a thing right? Well, if it isn’t it should be. It’s the perfect blend of sweet and salty. It is also went great with their Banisher dark red blend wine.